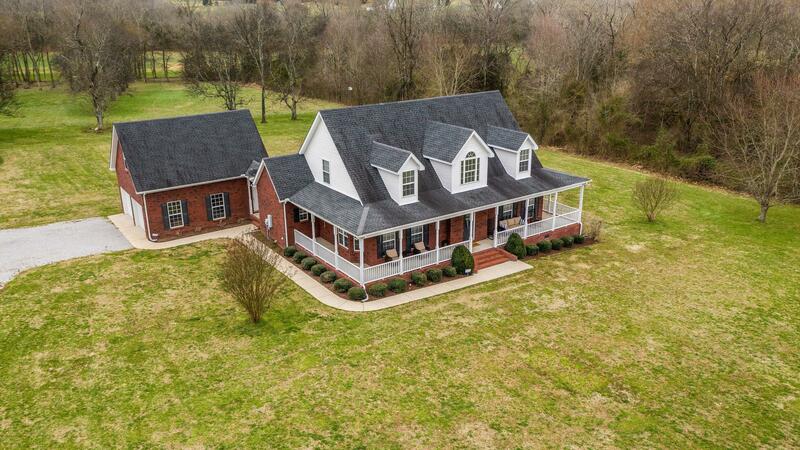 This stunning brick home on 6.6 acres a perfect 10! Updated kitchen! Loads of natural light. Recently painted. Warm hardwood thru most of main level. Master suite down w/ walk-in closet. Extra closets & storage thru-out. Eat-in kitchen w/ island seating & stainless appliances. Separate formal dining. Huge unfinished bonus room over garage! Beautiful, peaceful views! 24x30 steel shop w/ concrete floor. 15 minutes from north Murfreesboro or I-40! Don't miss this one!